Despite numerous relocations and traveling to between 60-70 countries, this is Buss’ first experience living in Kentucky. She is presently settling into Lexington with her husband, who is also a pilot, and three children, Griffin, Gracelyn, and coincidentally, Lexington. Luckily, new experiences were always in surplus for Buss thanks to her military past. Growing up in Salem, Ore., she did not come from a military family, but found herself drawn to the idea of being a pilot in grade school. After researching options in high school, the military provided her the best venue to explore her passion. Pilot training in Vance, Okla., at the Vance Air Force Base was next on Buss’ list. After a year of intensive training, she was sent to Charleston, South Carolina, to tackle her next milestone: flying C-17 cargo planes. The C-17’s are not just ordinary planes. If flying these gargantuan vessels wasn’t challenging enough, Buss also faced the challenges that come with minority status. In a room full of men, she typically stood in solidarity as the only woman in the room during multi-lateral Special Forces exercises. Even with the deterrent staring her in the face daily, Buss never let it dissuade her from her passion. 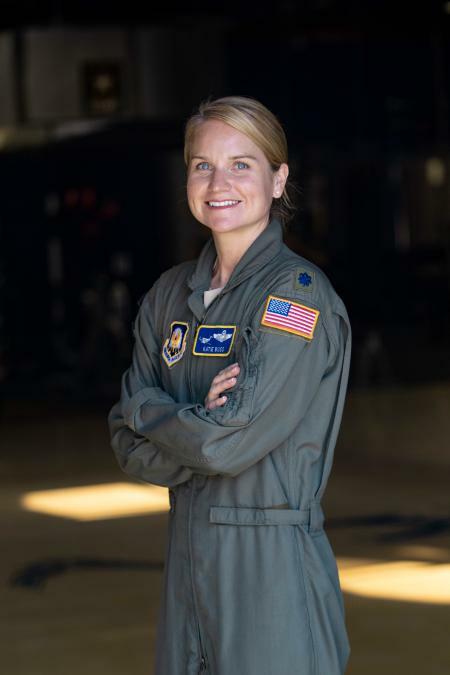 After six years in Charleston, Buss was re-located to Anchorage, AK where she continued to fly the C-17, until she finally landed in Monterey, California. There she secured a Masters in National Security Studies to complement her first Masters in Aeronautical Science from Charleston. This additional accolade lent her the chance to spend a year at the Pentagon, working as an International Affairs Strategist. Always chasing new horizons, Buss then went through training and worked for the U.S. Embassy out of Bogota, Colombia for three years. As a diplomat in Bogota, Buss was a military attaché and flew the C-12, or KingAir, throughout the region. If this position itself wasn’t enough, Buss’ efforts in Bogota were awarded with the honor of receiving the International Affairs Officer of the Year. This prestigious award is granted to one officer for exceptional and innovative contributions that carry the greatest impact in International Affairs, and were most effective in building, sustaining, expanding, and guiding U.S. Air Force-to-partner air force relationships. Buss flew out to Washington, D.C. to receive this award at the Air, Space & Cyber Conference. This conference happens to be the nation's largest annual Air Force gathering, and Buss was presented her award by the Secretary of the Air Force, Ms Heather Wilson and the Chief of Staff of the Air Force, General David Goldfein. Ever modest, Buss attributes this accomplishment as a by-product of the success of her whole Bogota team. Somewhere between adventures and accomplishments, one of Buss’ true passions, the development of youth, was realized. This core desire led her to her position at UK. “I enjoy working with youth and hope to make a positive difference in their lives. I’m excited for the opportunity to mentor the cadets and enable them to ‘Fly, Fight, and Win’ for the United States Air Force,” said Buss. Her dedication for the military youth bleeds through in every goal she carries to her position. 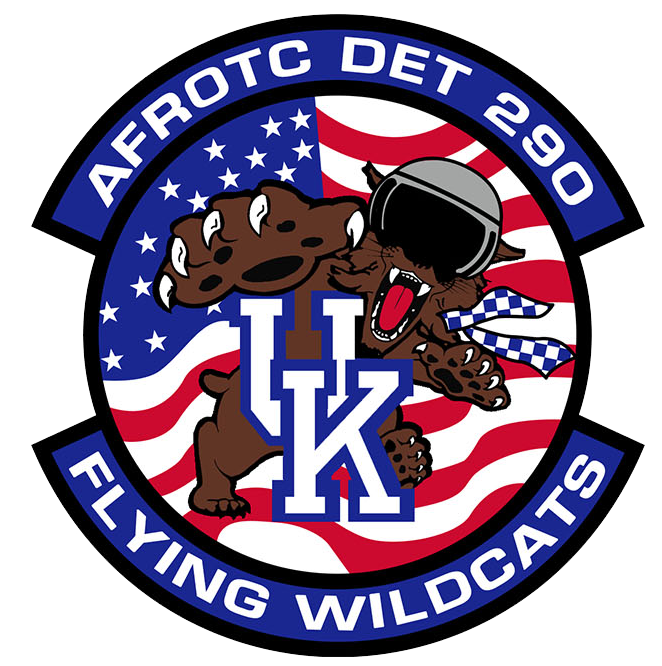 Buss’ number one priority, developing the cadets for whom she has so much admiration, is followed closely by her desire to leave her personal mark on UK’s ROTC program by continually bridging the relationship between the university and ROTC, serving the school and Lexington community, supporting veterans, and increasing cadet involvement on campus.